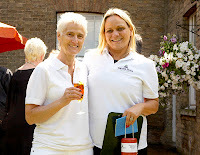 An exciting date in the Garden House calendar is nearly here - our annual Garden Party on the 5 July 2013 between 1pm and 5pm! 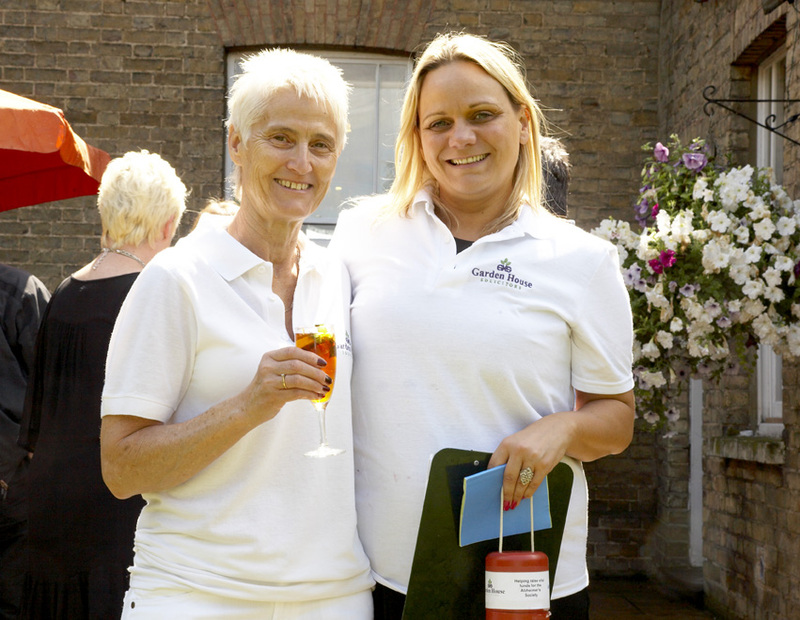 Once again we are hosting a Garden Party to raise funds for the Alzheimer's Society. There will be a raffle and an afternoon tea available. Fingers crossed the sun will shine for us! We were very lucky last year and currently we are forecast sun and 22 degrees. Fancy a glass of Pimms in the sun? If so, please join us? We are delighted that the Mayor of Hertford, Patricia Moore, is joining us at 3 pm. It will be a fabulous opportunity to meet old and new friends. Just give us a quick call on 01992 422128 to confirm your attendance, so that we are able to cater appropriately. For the past week I have been busy telephoning, emailing and personally calling into local business begging raffle prizes. I am delighted to say that local businesses have been very generous and we have some fabulous prizes waiting for you! Last year we raised £538.00 and we aim to beat that this year, please help us by buying raffle tickets on the day. Alzheimer’s is a devastating disease for all the family and I decided sometime ago that should I fall victim to this dreaded disease I would make sure that my grandchildren, two boys aged 8 and 6 would be well cared for. Consequently I have made Lasting Powers of Attorney and a Will. What about my own children I hear you say, well they have made their own way in life and are well able to look after themselves but I might leave them a little something! Obviously I intend to enjoy life and if that means spending money I will, but I will definitely make sure that my grandchildren have that little pot to help them along the way and will think of me with love when spending my hard earned cash (hopefully)! I have done the mum’s thing too of badgering my own children to provide for theirs. During the course of my work I have seen too many arguments when a loved one becomes ill or dies and simple planning will mean any legacy will not be eaten up in legal fees disputing the Will. For example, did you know that not being married means that your partner would not automatically receive anything from your estate? Did you know that a new marriage revokes a Will, even if your wishes for the Will have not changed? Just two examples of not planning well. If there is one thing I have learnt working in the legal field all my life it is to seek proper financial and legal advice to protect you and loved ones. I know I have been tongue in cheek with some of my comments in this article but please like me, take control and prepare either a Will or a Property and Financial Affairs Lasting Powers of Attorney and Health and Welfare LPA (or preferably both!). Having an LPA does not mean that you will get Alzheimer’s and having a Will does not mean that you will be tempting fate and die in the immediate future, but it does give you security of mind and the ability to close that door in your mind. I certainly do not intend going anywhere fast other than chasing after my grandchildren and I can now have fun for the rest of my life knowing that I have provided for my loved ones. And fun I am certainly having, I love my work at Garden House Solicitors and spending time with my family. I would be very happy to have a chat with you at our Garden Party. Please join us and should you want to plan for your future Sharon Brown of our Private Client Department will see you in the office or at home, and evening or weekend appointments can also be arranged. Sharon has an excellent manner in taking instructions on these difficult issues and will do her utmost to help you in a clear and straightforward way. If you would like to attend the Garden Party please call me on 01992 422128 or email me at julie@gardenhousesolicitors.co.uk and let me know if you have any special dietary requirements.